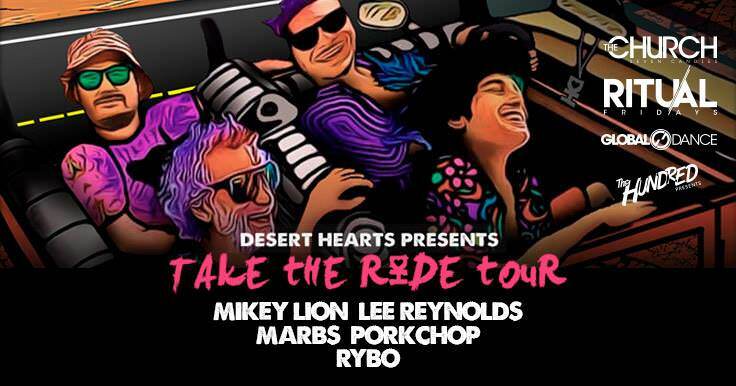 Denver based promotional groups, TheHundredPresents and Global Dance, are bringing the Desert Hearts Crew back to the mile high city for some Friday night fun. Mikey Lion, Lee Reynolds, Marbs, Porkchop and RYBO can be found dropping some *sweet* *sweet* tech/house beats on the floor of The Church Nightclub. Desert Hearts is know for throwing some pretty rowdy parties – Ex. last year’s Halloween warehouse extravaganza. And if we’re being real, unwinding with the Desert Hearts fam after a long week is exactly what the doctor ordered. Corinne graduated from Bentley University in May of 2016 with a Bachelor of Science in Corporate Finance and Accounting and a double minor in Marketing and Information Design and Corporate Communication. An avid skier and hiker, she made the move to Denver to pursue a more active lifestyle and live closer to the mountains. She usually averages a show a week. Her favorite genres are trance, future house, deep house, and indie electronic.